When my wife told me that she wanted a doula for her first pregnancy, I didn’t know what to say. I wanted to be a supportive birth partner, but I could not understand why we needed a doula. Everything we needed for a safe hospital birth would already be covered by our insurance! If we already had a doctor and a great medical team in place, why would we also pay a person with no formal medical training hundred of dollars for more advice and support? Doesn’t your mom already do that for free? Although I was initially reluctant to add (and pay for) another person to join our growing group of medical and support professionals, our doula proved to be the most valuable member of our team (to read our birth story from our first birth, go here). Gentlemen, if you’re on the fence like I initially was, you will NOT regret having a doula on your team….So what exactly is a doula? The word “doula” comes from the ancient Greek meaning “a woman who serves” and is now used to refer to a trained and experienced professional who help mothers and families prepare for, deliver, and take care of a new baby. In that process, there are several types of doulas, each with a different specialization in the world of birth. Many doulas specialize in more than one type of service, which can prove to be invaluable for a family. If you are in the Atlanta area and are looking for a doula, please consider Nicole King. She was a great fit for us! This is the most common type of doula. This doula’s job is to support a mother and family through the beautiful process of labor and birth of a new baby. This support will include mental and emotional encouragement, teaching valuable information about the process of birth, massage and physical support during labor, coaching through breathing techniques and labor positions, bringing water and food when needed, and any other non-medical aid to the laboring mother and her partner. Usually, Birth doulas will also include in their services 1 or 3 visits prior to the birth to get to know the family, and 1 or 2 follow-up visits afterward to help with breastfeeding and make sure things are going well. Antepartum Doulas most often serve pregnant women who have been placed on bed-rest or who are in a high-risk or high-stress pregnancy situation. Teenage, unexpected, or high risk pregnancies and complications can be extremely overwhelming to a new mother. Antepartum doulas can be that listening ear, and are able to provide tremendous emotional support. They can also provide contacts and resources for classes and support groups, and answer questions and concerns with tenderness and understanding. They will often also help with light housework or cooking for a mother who needs help or needs to take it easy. A Postpartum Doula can be a life-saver in the high stress, no-sleep days and weeks following the birth of a new baby. These doulas will help with light housework, cooking and cleaning, often on an hourly basis for however long they are needed. They also provide vital coaching for new moms learning how to breastfeed a baby, get them to sleep*, or calm that baby who’s been crying for 3 hours straight. They, like all doulas, are valuable sources of information, emotional support, and understanding aid in the beautiful but overwhelming process of birth. 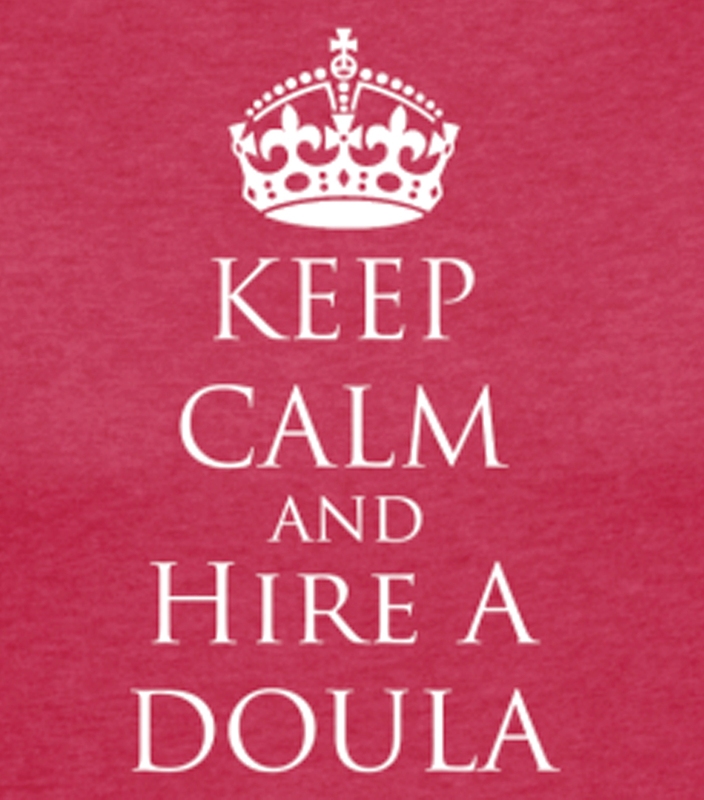 -A doula is there to help you AND your wife! In order to have a positive birth experience, most women need continuous labor support. The typical father/birth partner his very little to no actual experience in dealing with the unique forces of labor. Labor support can be physically and mentally exhausting for even the most experienced birthing professional. Having a second person there when labor hits the 12th or 24th hour may give you a chance to take that desperately needed stretch or extended bathroom break without an interruption in support for your wife. As your wife’s support person, you need to maintain a level of mental clarity and focus during the entire birthing process. – A doula can help to protect the space for the birthing couple- this is REALLY important if any complications arise for the mother or baby. They won’t make decisions or speak out on your behalf, but a doula may help you with making educated decisions with confidence. Birth is an opportunity to transcend. To rise above what we are accustomed to, reach deeper inside ourselves than we are familiar with, and to see not only what we are truly made of, but the strength we can access in and through Birth.